Over the past few decades, Hong Kong has become one of the world’s most important cities and a global financial hub.However, increased prosperity hasn’t trickled down to everyone. According to the Gini co-efficiency, which measures inequality, Hong Kong is the least equal city in the developed world. Local advocacy group Society for Community organisation says that hundreds of thousands of people are still living in caged homes and wood-partitioned cubicles. 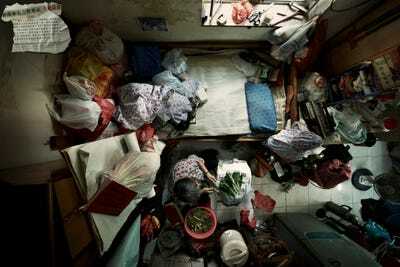 What’s worse, the number of people living this way appears to be increasing, as economic migrants arrive in the city from mainland China. To highlight the struggle, SoCO took shots of the homes to show just how tight these living quarters are. 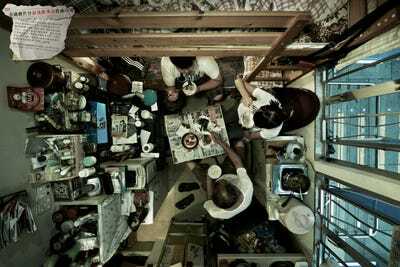 The apartments were so small that they had to be photographed from the ceiling to capture them. 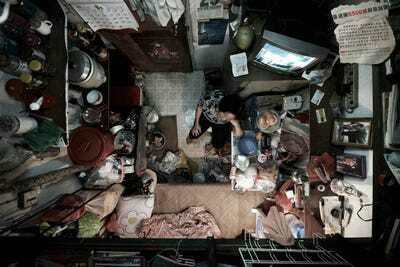 Hong Kong has a shortage of public housing, meaning many on the lower end of the economy must pay market rates. 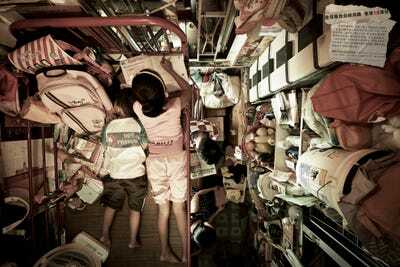 In a city so densely populated, rents are extraordinarily high. 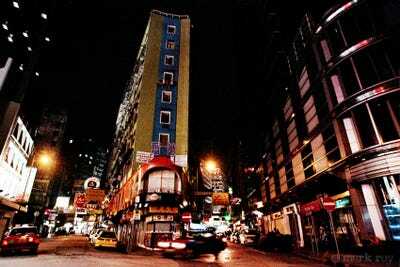 $80–90HKD ($10.3–11.5USD) per square foot per month is common. Due to this, some people are forced to live in tiny caged homes or wood-partitioned cubicles. SoCA says that at least 100,000 of the city's laborers live in sub-divided apartment units. These units average 40 square feet. This is the smallest apartment shown. It is 28 square feet, with proportions of around 4' x 7'.